Let me start by saying that this is my first digital camera purchase. I did a lot of research and I was between this camera and the Nikon equivalent and I decided to go with the Canon based on the mostly great reviews. I've been taking pictures on my iPhone since my daughter was born, I really wish we had bought this camera sooner! The picture quality is amazing. I was really impressed by the quality of the zoom, which takes some time to perfect but surely won't disappoint! I took a picture of the restaurant at the end of the Pier from the beach (which is almost 700 yards away) and the quality of the picture I got was amazing! I love the wifi feature on the camera and how easy it is to connect to the Canon app on my iPhone. I rarely even take pictures on my iPhone anymore because I want to take this camera with me everywhere! Plus, the size and weight allows me to do so. I am so happy with this purchase, I can see it providing my family and myself with a lot of great quality photos for many years to come! Tbook.com crawls the web to find the best prices and availability on zz and related Camera & Photo products like Canon Black PowerShot SX540 HS Digital Camera with 20.3 Megapixels and 50x Optical Zoom. For this page, related items include products we find that match the following keywords: "Digital Camera" at our vendor partner Walmart. 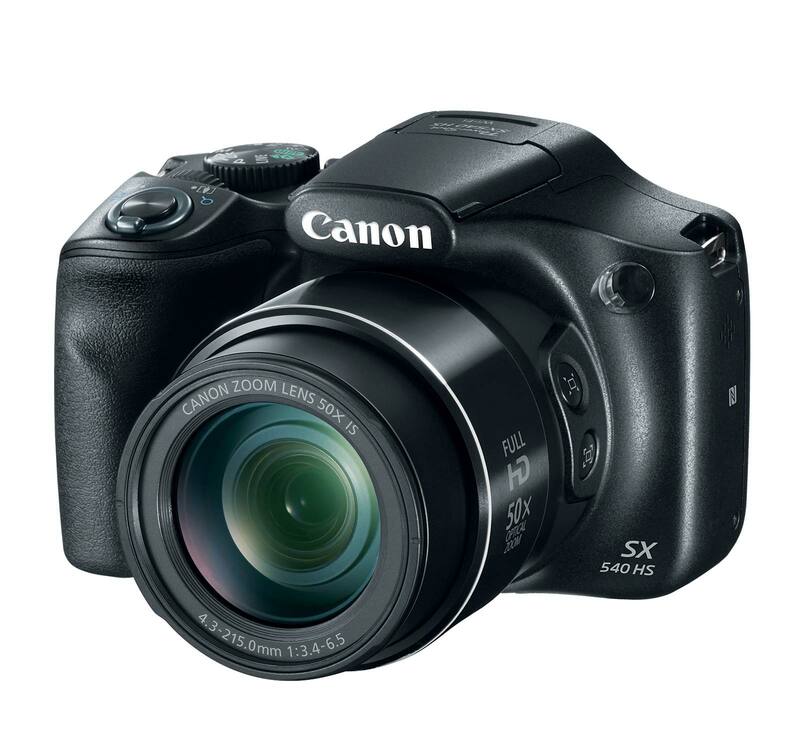 Canon Black PowerShot SX540 HS Digital Camera with 20.3 Megapixels and 50x Optical Zoom is one of 11 zz and related products listed in the Camera & Photo section of Tbook.com If you have any questions on this product, please give us a call at 734-971-1210 during the hours of 9am - 5pm EST for assistance. Thank you for shopping at Tbook.com, the Internet Department Store!